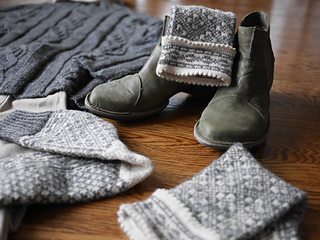 These unique fairisle socks are named after of the Shetland islands, known for the Bressay Pictish Stone. They showcase an impressive, traditional allover body pattern with two options for the cuff for a feminine or androgynous look. They come in S/M/L and knit up in tow skeins of yarn! 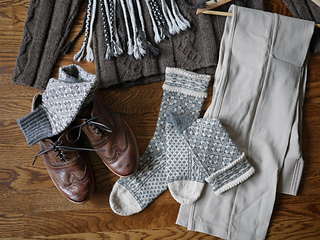 These socks will keep you on your toes as you knit them, and the fairisle technique creates a hearty, warm sock. The charts seem to have the wrong needle information below them, i.e. Needle 1 and Needle 2 are in fact switched. The charts are correct, just the text below them is incorrect, apologies for this.